Let me introduce myself! I’m Kerry, Spray Tan Professional in Derby and the surrounding areas. I am self employed, running a Wilde About Tan Franchise in this area. I often get asked about how I got into spray tanning with many presuming I have a beauty background. This couldn’t be further from the truth! Since being 17, I have worked for mainly professional services and government agencies. That’s what you did right?! College or Uni, get a job that offers career prospects and looks good on the old CV. This was certainly the case for me. Don’t get me wrong, I’ve worked with some awesome people in the past. I have been involved in brilliant projects and learnt so much along the way, but it wasn’t long before I had that niggling feeling that I should be doing something else – but what?? I remember feeling a bit jel of people who left school and knew exactly what they wanted to be, which direction they wanted to take and could see themselves doing the same thing until the pension kicks in. It almost seems like a different me looking back. That thought of the pension which I read about at 17 is a distant memory. I’m a true believer that if you need a change then only you will make it happen. I’ve had a dabble with network marketing which taught me a thing or two but it wasn’t for me in the long term. After modelling for spray tan training with then-trainees Katherine Sheard and Debbie Gardener, the brain started ticking (it happens now and again) and I knew I wanted to do this too. I contacted Andrea Wilde (head honcho) a week later and told her I was ready to get involved. Within weeks I was full trained and out tanning. In actual fact, I trained on the Thursday and was out tanning on the Friday. That sounds quite scary but don’t let that put you off, that’s the kinda girlie I am – two feet in! Here I am now, six months in and loving Wilde About Tan and everything it offers as a career to work flexibly around my family. 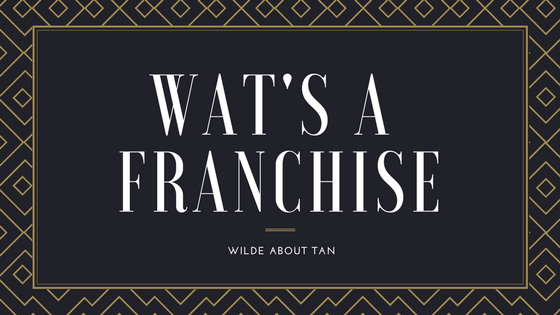 Here’s what you need to know about a franchise with Wilde About Tan. You are self employed, so if you can offer flexibility for your clients, you can run your business the same way. Finally, it’s a business, aspects of it can be hard work…if you are looking for a get rich quick scheme, this ain’t it. 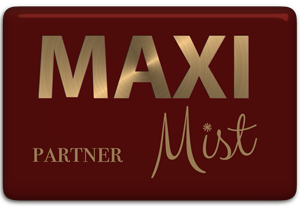 …one last thing, the buzz of making every person you tan feel fabulous is off the chart – instant satisfaction for all! So if you fancy a chat, let’s talk tans and shopping! I can’t promise much on government funding and legal docs anymore but matching tan to different skin tones, I’m all over that. If you enjoyed this info-blog feel free to share it with a friend. Head over to the amazing Kerry to tell her too! If you are in the Derby, Sandiacre, Long Eaton area, this is the chica who will be tanning you to perfection. Book with her directly here! For more immediate information right now on the Franchise, check out our checklist.